Stepping aboard you will appreciate the superb surroundings of your floating luxury hotel with spacious and well-appointed cabins or suites, private bathrooms and meticulously prepared fine cuisine. Unwind on a magical river cruise and enjoy an escorted tour to Budapest, the Pearl of the Danube. You fly to Budapest from where a coach will take you to the ship. The dedicated crew will welcome you on board, ensuring you settle into your comfortable and extremely well-equipped cabin and familiarise yourself with the ship, your first-class floating hotel. There’s always a sense of expectancy and excitement on the eve of a cruise and after an excellent dinner in the stylish restaurant, conversation is sure to revolve around the delights ahead of you. 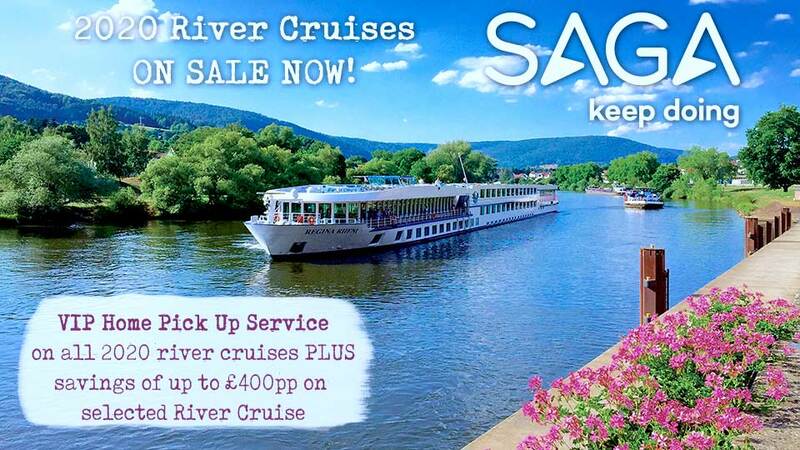 Experience one of the great delights of cruising as you awake in a completely different location. Overnight you have slipped upstream to Esztergom, Hungary’s capital during medieval times and today the seat of the country’s Archbishop. The town is internationally famed for its great Renaissance basilica, Hungary’s largest church, standing sentinel over the Danube and boasting one of the world’s largest altars plus a wealth of gold artifacts. You can explore the castle too, seat of the government until the 16th century Ottoman invasion. Nestling below, there are a myriad of exquisite baroque masterpieces of churches from which resonate the enchanting sound of talented choirs, adding to the unmistakable central- European atmosphere. This is the best of provincial Hungary and little changed since Hapsburg times. As you enjoy your first lunch on board, you gently leave Esztergom in your wake, affording a fascinating opportunity to compare the landscape, towns and villages of Hungary and Slovakia on either bank. This morning, you explore Slovakia’s fast emerging capital city, Bratislava, on a guided tour. Until recently swathed in the drab uniformity of communism, the city has shrugged off its greyness, rekindling the splendour of its imperial past, so evident in its beautifully restored baroque old town. Equally impressive is the great 17th century fortress commanding expansive views across the Danube. This afternoon you cruise into Lower Austria, a peaceful, bucolic region and home to some of the country’s best wines. By now, the stresses of everyday life seem very distant as you absorb life on the river, children playing on the banks, young couples strolling arm-in-arm like generations before them, vignerons carefully pruning their vines, cobbled quaysides lined by half-timbered buildings teem with life - with no one giving you a second glance. You will marvel as the captain skillfully navigates the ship with such easy confidence along the serene river and into the fascinating locks as you cruise towards Dürnstein whilst enjoying another superb dinner. Spread below is a maze of tiny streets lined with the exquisite shops that make window-shopping so satisfying. Then there is the wonderful Hellbrunn Palace with its famous trick fountains and the natural beauty of the Mirabell Gardens is a must for the fan of things horticultural. With its genteel atmosphere of bygone times, surrounded by a magnificent Alpine backdrop, Salzburg is a superb spot to relax and explore at your leisure. Salzburg’s most famous citizen was Mozart, one of the greatest musical geniuses to have ever lived. He played the piano at three; could compose rudimentary music at five and wrote his first opera at fourteen. This morning, you have a guided tour seeing all the principal places of interest then you are free to enjoy the afternoon exploring the city as you wish, before returning to the ship for dinner. By now you will have completely immersed yourself in life aboard ship, the gentility of it all, the peacefulness, the observation of the wildlife constantly surrounding you, the ever-changing shoreline of the variety of countries through which you pass and the stimulating conversation of your like-minded travelling companions – home will seem a very long way away. 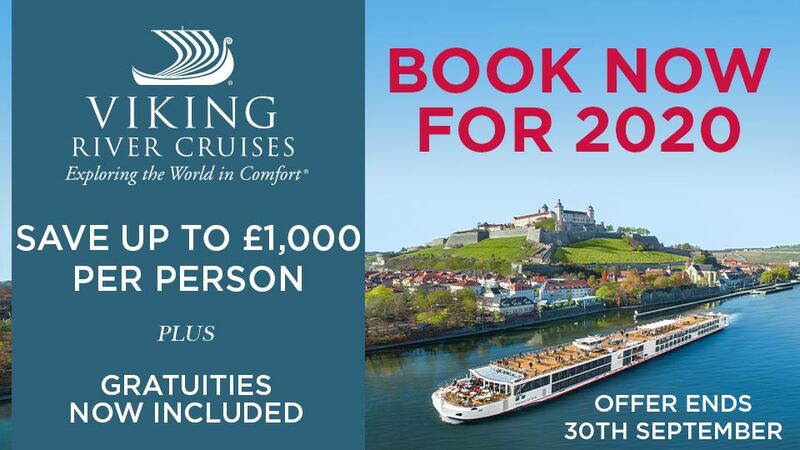 Today will probably bring one of the highlights of the cruise – Vienna , whose very name provokes images of elegance, fine music, sumptuous baroque palaces, grand boulevards, noble architecture and a rich tapestry of peoples from all corners of Europe drawn to the city’s magnificent cultural heart. For two hundred years until the First World War, Vienna was the cultural centre of Europe and the huge array of showpiece buildings, galleries, aristocratic palaces and baroque churches you see today were built. Dominated by the striking multicoloured roofed St Stephen’s cathedral, you have the Hofburg, the former royal court now a collection of museums, home to the Vienna Boys’ Choir, the Spanish Riding School, the crown jewels and the world’s fourth largest art collection. Then there are the Emperor’s apartments and outstanding medieval craftsmanship in the relics of the Holy Roman Empire including allegedly, the crown of Charlemagne himself. This evening, Riviera have arranged truly the ‘icing on the cake’: no visit to Vienna is truly complete without a live musical experience so after dinner, Riviera have arranged for a recital on board. To hear this exquisite music whilst in the city of its creation makes a wonderful finale to the day. 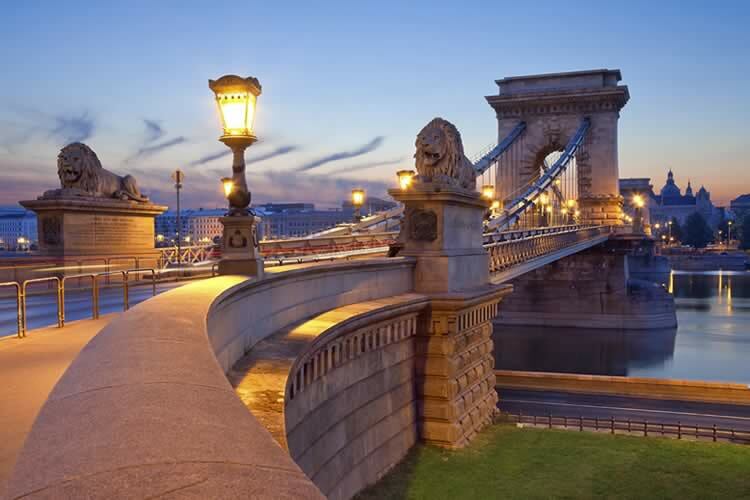 Dawn breaks and a glance along the shore as it slips gently past reveals Hungary’s peaceful pastoral landscape, as you majestically cruise toBudapest. After lunch, you enjoy a sightseeing tour of the city. The twin cities of Buda, built around the hilltop fortress and Pest, were fought over through the centuries until the 17th century ousting of the Ottomans. A lasting legacy of Turkish rule is the plethora of thermal baths utilising the hot springs giving rise to the sobriquet “City of the Spas”. Subsequentl y becoming an imperial city of the Hapsburg Empire, it attracted great cultural and commercial wealth. Explore Castle Hill, the city in microcosm: three churches, five museums and a theatre amongst streets and squares with their own special atmosphere and a dramatic view over the river, its banks dominated by the impressive neo-gothic Parliament building. Endless galleries, museums, outstanding art nouveau architecture and excellent shopping offer a fittingly elegant end to your Danube cruise. At this evening’s gala dinner you sadly bid farewell to your travelling companions and reflect on all the inspirational places, sights and sounds you have experienced on a truly ‘imperial’ cruise. Today at the appropriate time you'll transfer to the airport for your return flight. Guided tours in Vienna, Salzburg, Budapest & Bratislava and visits to Esztergom, Durnstein & Melk Abbey. During the extension you will stay for three nights in a unique boutique hotel with breakfast and two lunches in Budapest. In this time you will visit the picturesque Szentendre, a guided tour of Budapest’s iconic Parliament Building, a visit to the National Gallery, a tour of the Royal Palace and gardens at Godollo, and the chance to experience the dramatic ‘Puszta’ on our scenic tour into Hungary’s Great Plain.